Provide comfort for the family of Arthur Smith with a meaningful gesture of sympathy. Arthur E. Smith Jr. "Smitty" 100, passed away Wednesday afternoon April 10, 2019 at his residence following a lengthy illness, surrounded by his loving family. He was born in Ashland on May 24, 1918 to Arthur E. and Dora (Brubaker) Smith Sr. He worked as a truck driver all his life retiring from Sarver Paving in 1982. He was a member of the Maple Grove Church of the Brethren. He enjoyed fishing, mushroom hunting and traveling. On July 27, 1940 he was married to Katherine Jane Keener and the couple enjoyed 65 years of marriage before she preceded him in death on February 16, 2006. He is survived by three daughters, Rose (Luke) Davidson of Ashland, Jane (Stan) Eagleson of Jeromesville and Wilma (Bill) Ferguson of Ashland; six grandchildren, Brian (Lynn) Anderson, Koreena Anderson, Tim (Sue) Davidson, Rodney (Patty) Davidson, Melissa (Andy) Nell and Jennifer (Charles) Fix; several great grandchildren and great-great grandchildren. Five sisters, Virginia Burns, Mary Keefer, Carol Burns, Olive Simmons and Joann (David) Warner; and a brother, George (Virginia) Smith. He was preceded in death in death by his parents, his wife Katherine; a daughter and son-in-law, Shirley and Robert Anderson; a sister, Doris Jane Smith; a brother and sister-in-law Russell and Alice Smith; a granddaughter, Sheila Ferguson; and three brothers-in-law, Robert Burns, Jim Keefer and David Burns. Funeral services will be held Monday April 15, 2019 at 11:00 a.m. at the Denbow-Gasche funeral Home with Chaplain Dan Clouse of Southern Care Hospice officiating. Burial will be in the Ashland County Memorial Park. Friends may call from 5:00 to 8:00 p.m. Sunday April 14, 2019 at the Denbow-Gasche Funeral Home and one hour prior to the funeral service on Monday at the funeral home. The family suggests that memorial contributions may be made to the Maple Grove Church of the Brethren, 960 Twp. Rd. 964, Ashland, Ohio 44805 or to Southern Care Hospice Services, 41 Briggs Dr., Ontario, Ohio 44906. The family would like to thank Chip from Companions of Ashland and everyone from Southern Care Hospice, especially Cheyenne, Marti and Kristin for all the wonderful care they gave our dad. 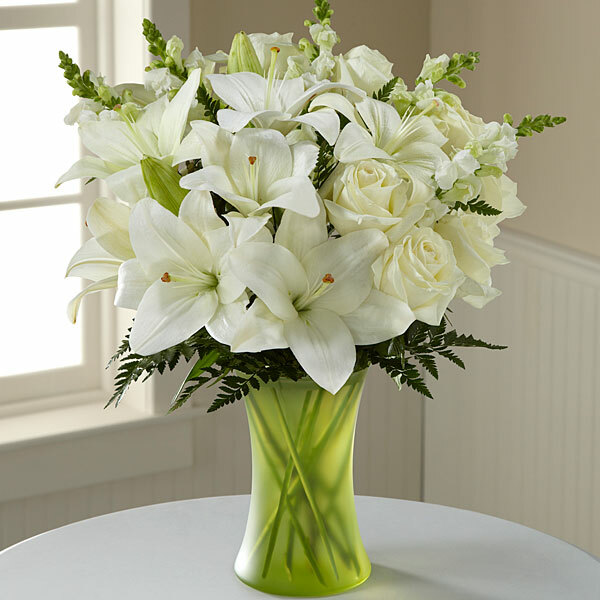 To send flowers in memory of Arthur E. Smith Jr., please visit our Heartfelt Sympathies Store. 1058 St. RT. 250 N.
Provide comfort for the family of Arthur E. Smith Jr. by sending flowers. Heartfelt Sympathies Store purchased flowers for the family of Arthur Smith.